I hope you all had a wonderful, spooky, candy-filled holiday! 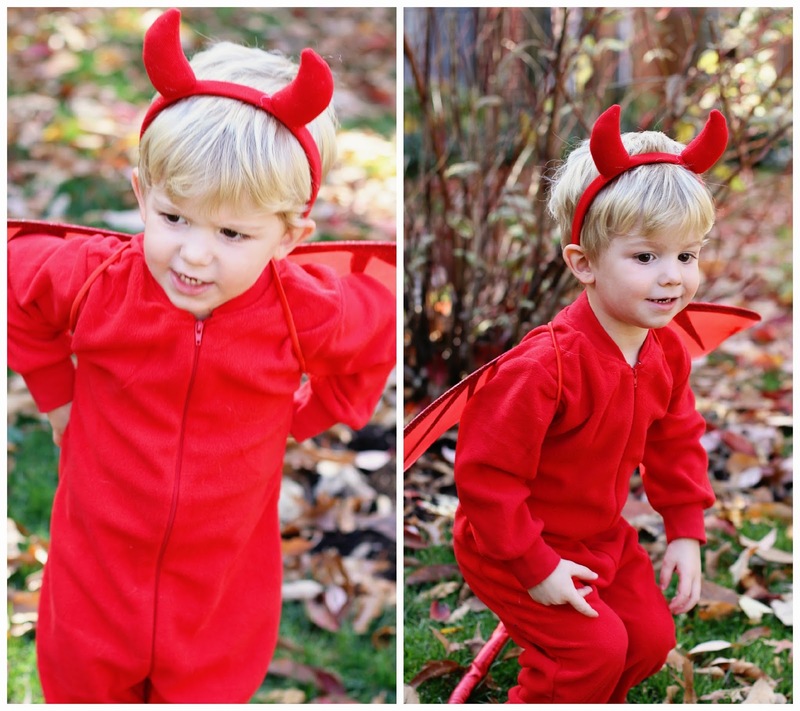 Our sweet angel baby spent the evening overstimulated and in tears, but our little devil had a blast! Mac wore his costume all night long, said thank you to all the adults handing out candy and only got slightly scared (by a really creepy talking scarecrow) once. Mac's different expressions get me every time! They look adorable together!!! They are too cute!!! Love the pictures!! OMG!!! I love the costumes!! What a great idea! I adore this!! Rock it, Mama! Cutest duo ever!! 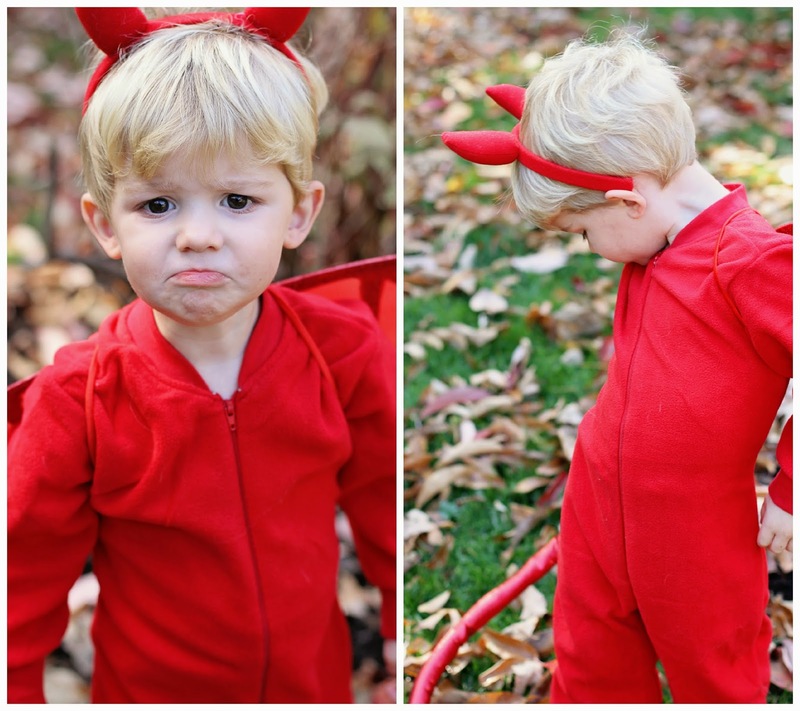 I love Mac's "mean/devil" face...he's adorable! 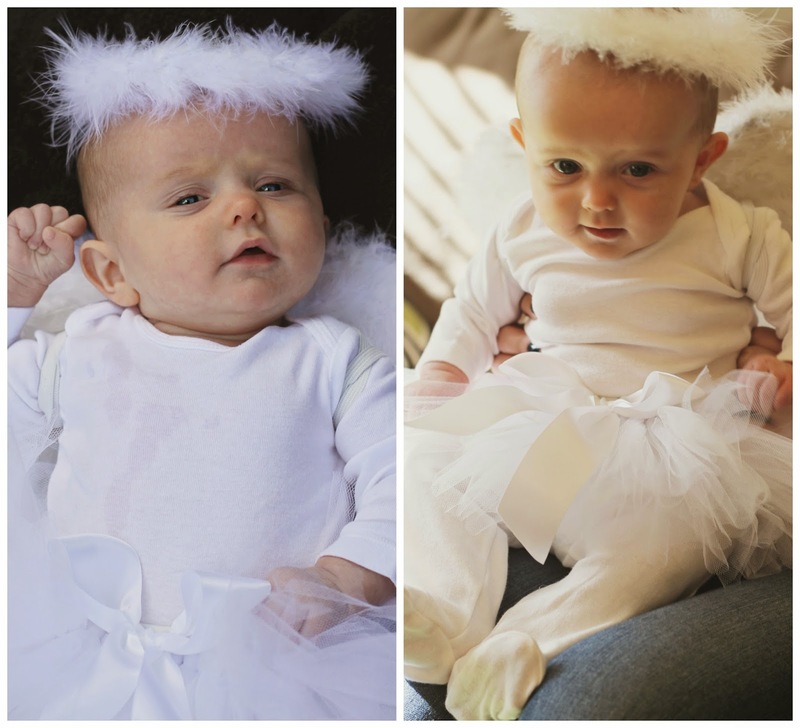 These are seriously theee cutest pics!! 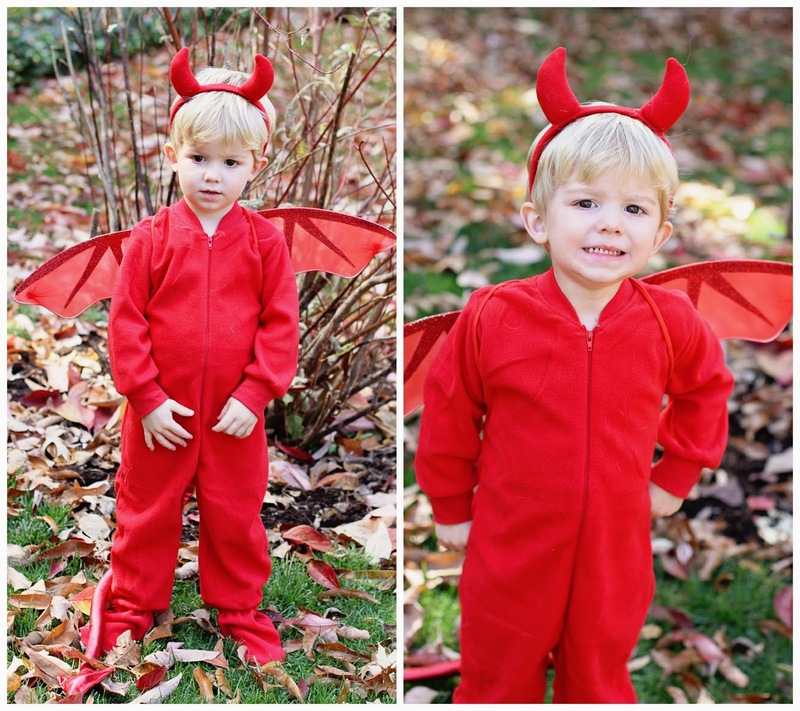 Love Mac as a little devil! They are both the cutest! 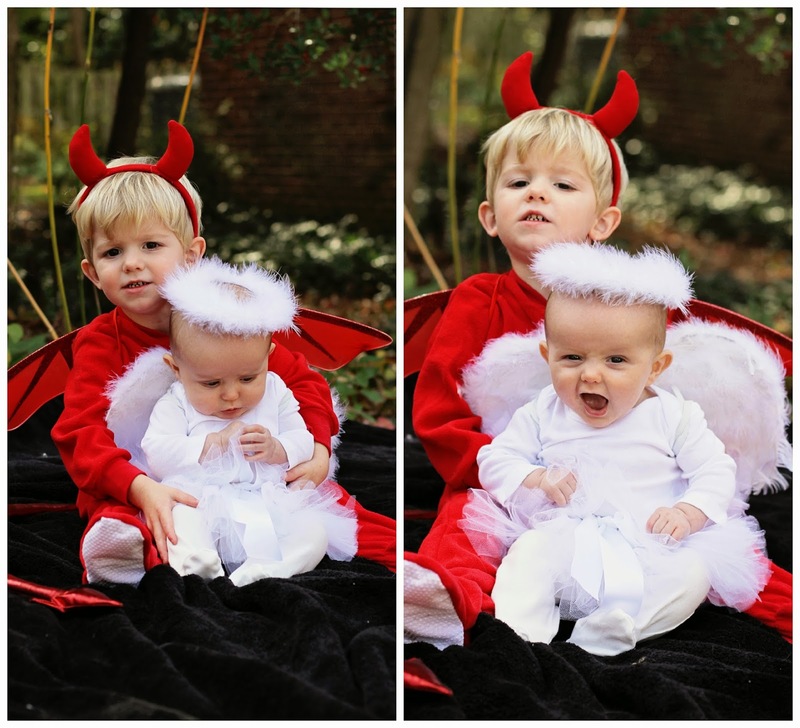 THE cutest devil and angel in all the land!! 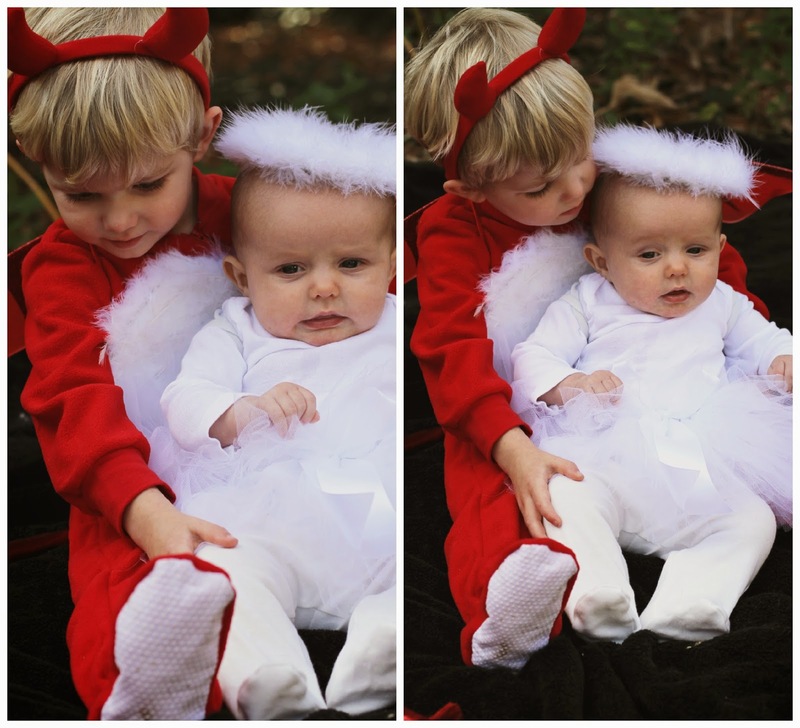 Goodness, they are so cute! I love that they match. best. 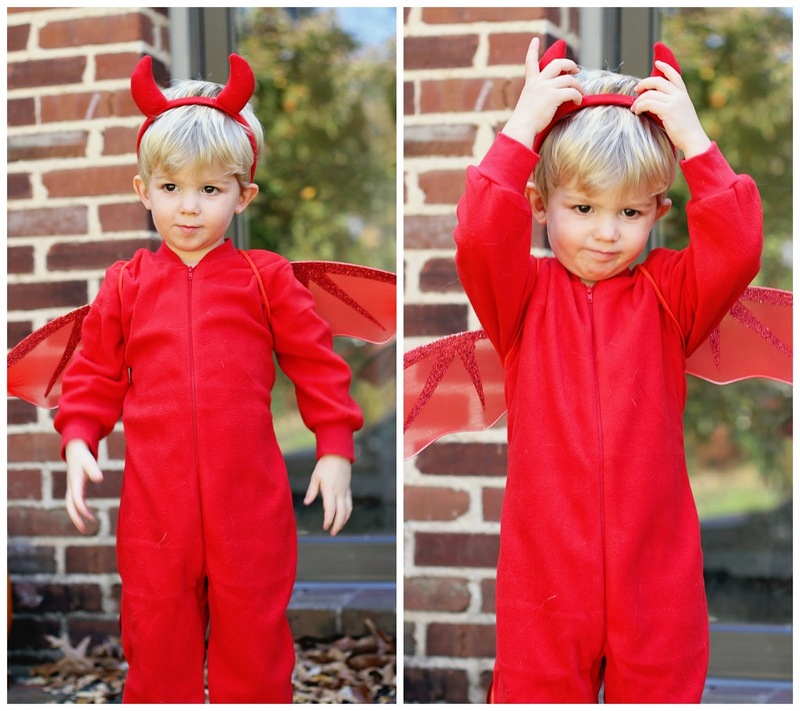 costumes. ever. i LOVE them. and baby mim is getting so so big!!! i cant believe it!! 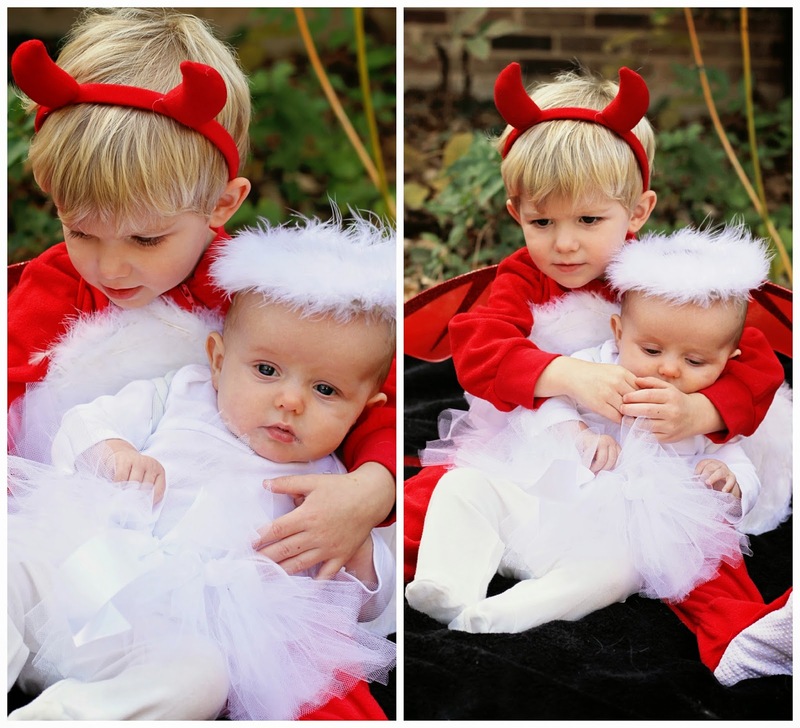 Best brother sister costume combo ever!! 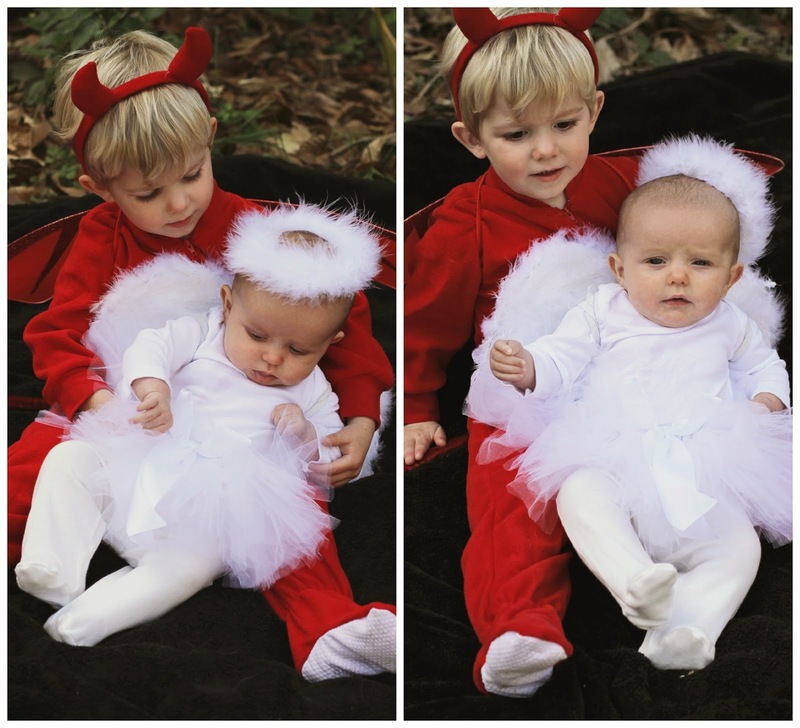 Mac is adorable and Mim is such a sweet angel! 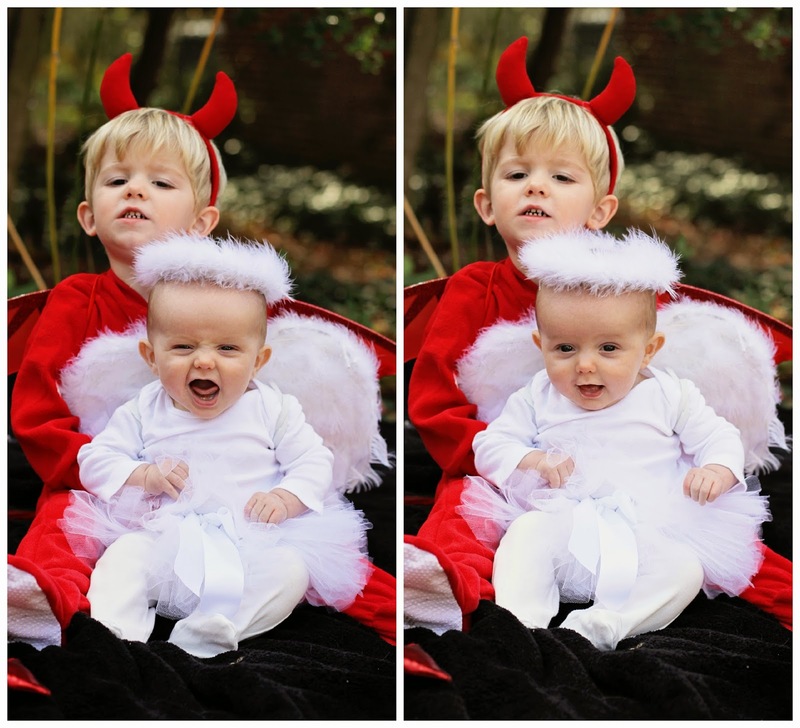 Best costumes ever! 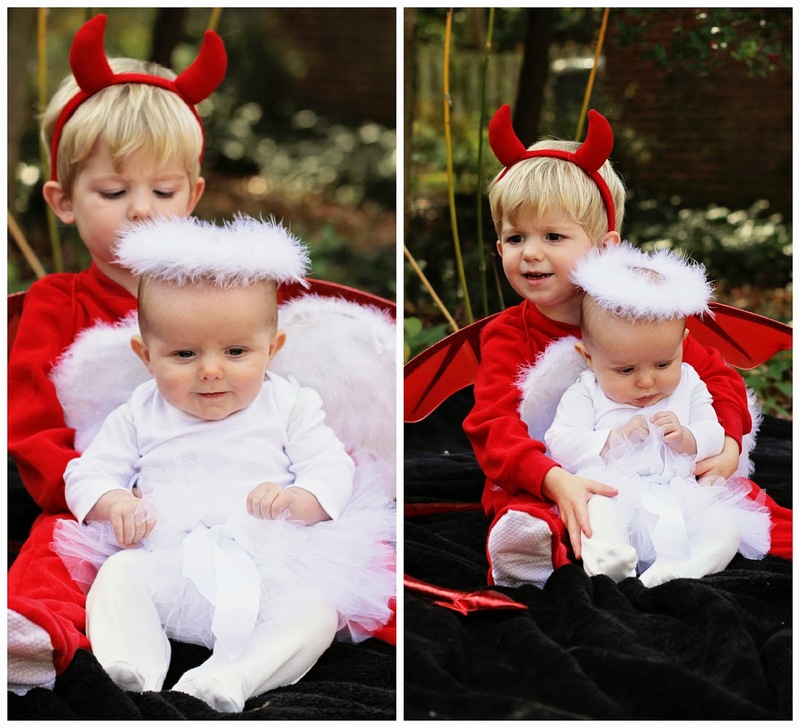 I love the sibling themed costumes - so fun! 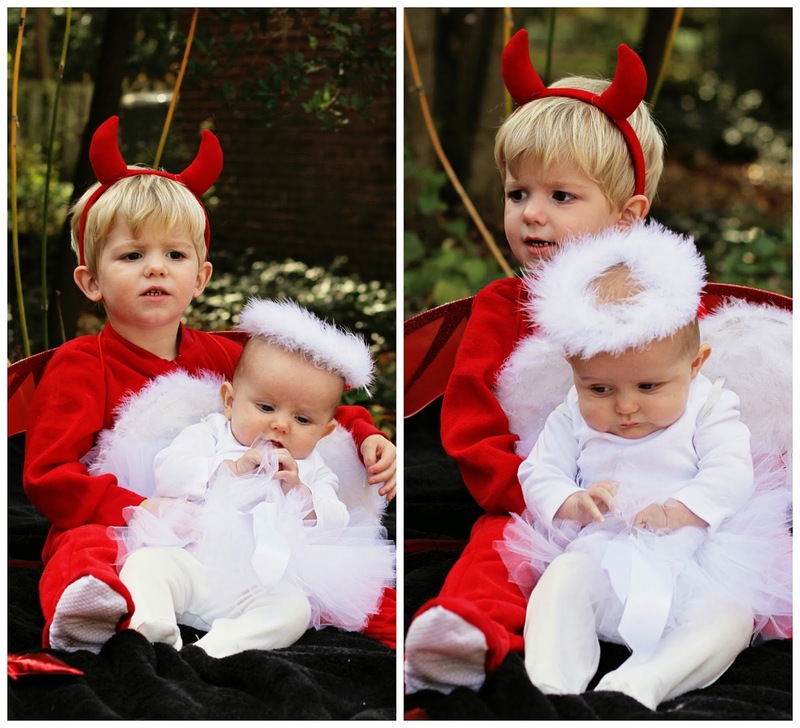 So sorry she has such a rough night but you know babies ;) Yay for mac doing so well trick or treating! This seems to be the right age for so many things like that - glad he had fun! 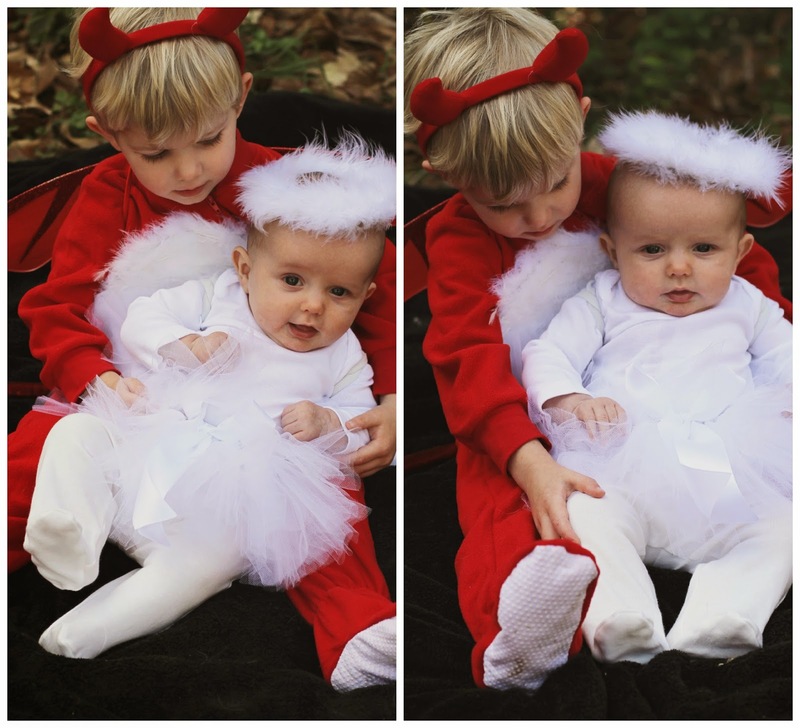 Their costumes were so adorable! Great idea! 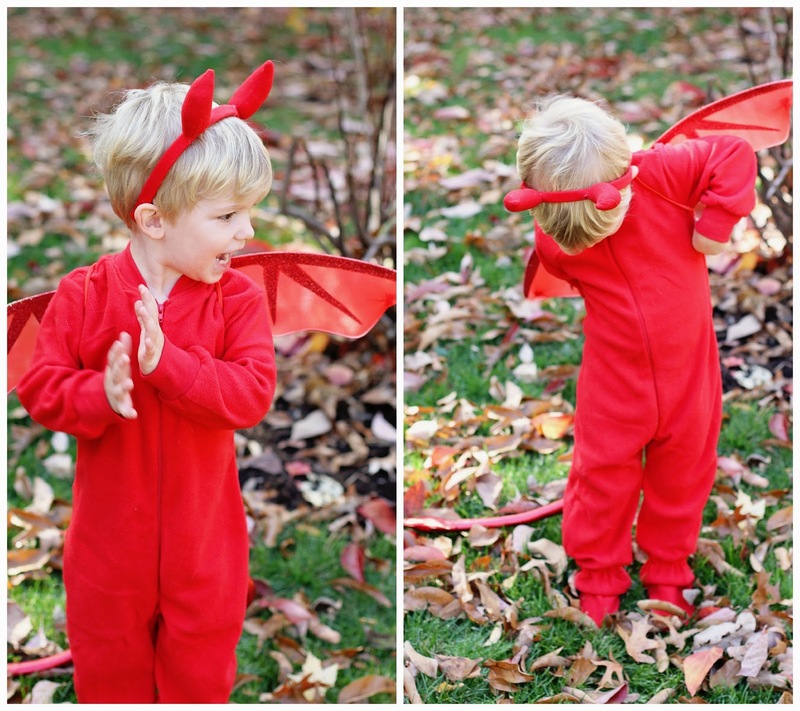 what an adorable costume idea! love it! 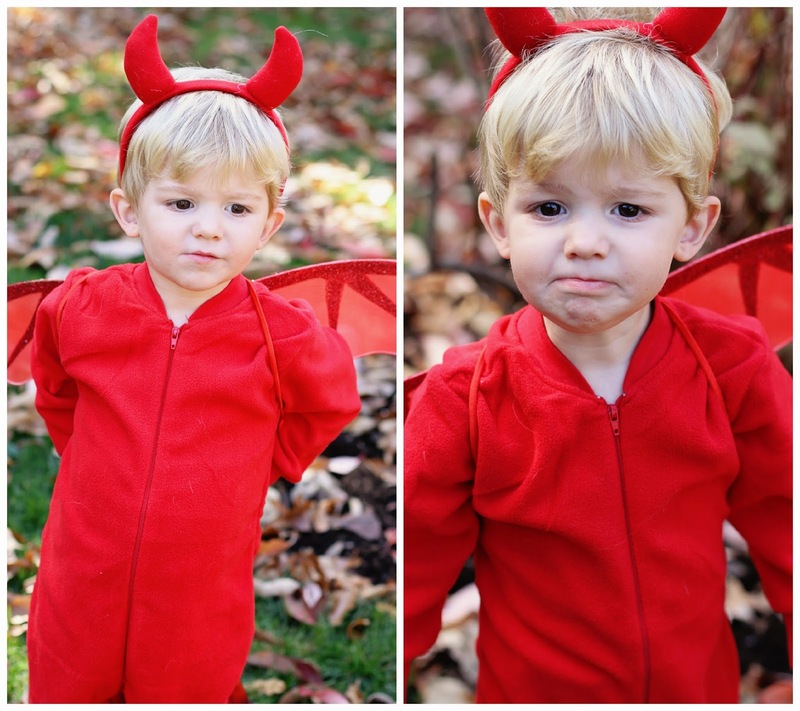 The 'sad' devil faces! Killing me. Love all the pics. 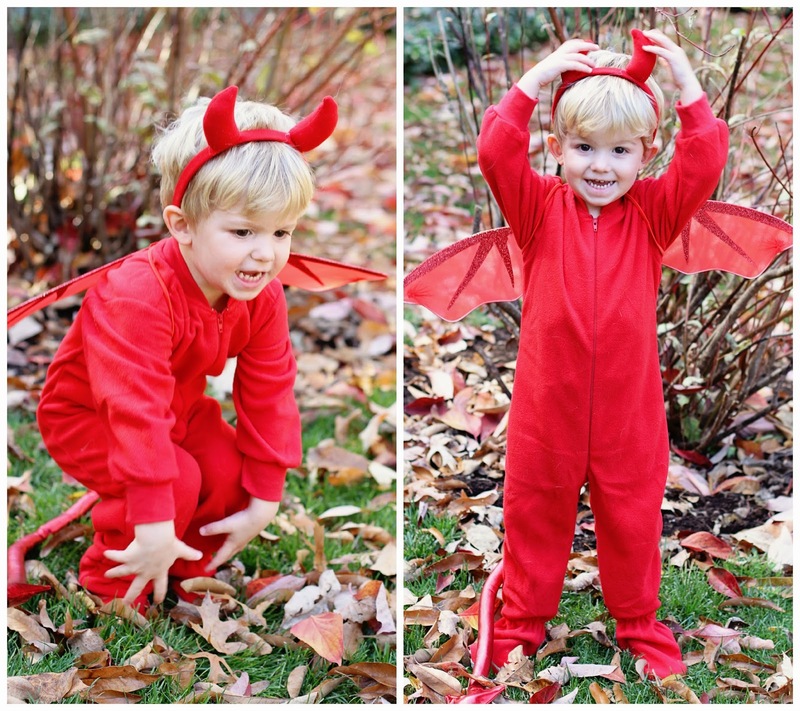 These are seriously the cutest costumes and you have the cutest kids! Perfection!